Will Greece default or exit from the euro, or both? First, I will describe the best course of action, then what I think will happen. The two are not the same: In Europe, policy actions have diverged from the optimal course of action for most of the last two decades. Consider first the 1990s. Like many economists, at the time I pointed out that the plans by the eurocrats to introduce a single currency were thoroughly misguided: monetary policy is the most powerful policy arm, and there is no reason why any government should amputate it. As I argued then, historically the German D-Mark had been strengthening since its introduction in 1948 against the currencies of its neighbours, and this reflected – and compensated for – increased German competitiveness. Their weakening currencies allowed German trade partners to keep their export industries in business and their workers employed. By introducing a single currency, future revaluations of the German currency were disallowed. This amounted to a de facto future devaluation of German purchasing power, revaluation of the currencies of the other European countries, and hence would render non-German economies less and less able to compete against German exports over time. To economists – even of the mainstream ilk – it was clear what would have to follow: Unable to depreciate their currencies, countries such as Spain, Italy, let alone Greece would need to conduct what is euphemistically called an ‚internal devaluation‘, i.e. wages would have to fall significantly and domestic purchasing power would have to be reduced. Countries refusing to implement such austerity policies or trying to circumvent them would face ballooning trade deficits with Germany and the need for ever greater borrowing from the German central bank (via what came to be known as TARGET2). Their debt would swell, until reaching an unsustainably high level, and then something drastic would have to happen – default, exit from the single currency, or both. It was an almost unique instance where most economists – famous for disagreeing – agreed. When visiting Europe at the time (I was based in Tokyo in the 1990s), and meeting my peers, the chief economists at other banks, I would of course discuss what in my view was the highly worrying prospect of these plans to abolish the D-Mark. I was astonished by their reaction. About half of them insisted that those plans were so lunatic that, of course, they would not be implemented. This was a bad call, since the commitment to the single currency had been enshrined in the Maastricht Treaty in 1993 and the eurocrats were implementing a pre-ordained implementation plan resulting, by the end of the 1990s, in fixed exchange rates, and by 2001 a single currency. I had had the opportunity to hear Mr Alexandre Lamfallusy, the leading technocrat tasked with the introduction of the single currency, speak in Tokyo around 1996. He presented his road map. The astonishing aspect was the level of detail. He told us, years in advance, in which European cities the chiefs of central banks and the finance ministers would meet and what they would decide; when and where their deputies would meet and what they would decide; and where and when the heads of government would meet, and what they would decide: month after month of detailed scheduled meetings, with a complete script of pre-ordained outcomes, named after the cities in which the meetings were to take place. His confident presentation made it clear that he expected this script to be followed to the letter. I saw no reason to doubt his words. (Needless to mention, this is what happened). The other half of the chief economists, like me, recognised that a single currency would be introduced, no matter how nonsensical the economics, since it was a political project. (The economics being bad, the politics was even worse: the end of democracy in Europe). They agreed with me that it was going to be a disaster. I asked the chief economist of what was then the fourth largest German bank: „If you think so, why don’t you speak up about this? You are forecasting gloom and doom, but I don’t see any reports by you or your bank about it.“ His answer was shocking: He said that there had been clear instructions from the boards of all the large German banks to their staff that no report on the abolition of the D-Mark and the introduction of a European single currency that was in any way negative was allowed to be published. The economists in the private sector had been muzzled by their bosses. The same I heard from journalists. So the German media only quoted the rigged reports from the banking economists. As I warned in my 2003 book Princes of the Yen, in the event the European Central Bank was to exacerbate matters greatly by creating massive credit bubbles, banking crises and recessions in its first decade of operation. The ECB then ensured a prolonged crisis by not ending these banking busts, such as in Ireland, quickly and without costs to the tax payer (as central banks are uniquely able to do). Instead, the ECB forced governments to incur massive national debts to rescue their now defunct banking systems. This way, Ireland moved from fiscal poster boy to virtual default, needing an IMF ‚rescue‘. And this, coupled with excessive consumption and spending during the boom years, is how Greece got into its current predicament. So it is high time to recognise that the introduction of the euro was a mistake. It is time to cut our losses, instead of throwing good money after bad. Eurozone countries should therefore now show solidarity with Greece and all exit the eurozone together. This can be done by simply reversing the procedures of introducing the euro. As to the question of what will actually happen with Greece, we can be short: President Obama called Angela Merkel a fortnight ago and apparently told her that it was ‚critical‘ to keep Greece in the euro. Legally, Germany is not a sovereign state; in practice, it is beholden to the US. It is thus likely that a deal will be made, as the US project of ‚ever closer union‘, the transfer of all powers and sovereignty to an unelected Brussels elite reporting to Washington, must continue, no matter the costs for the European peoples. 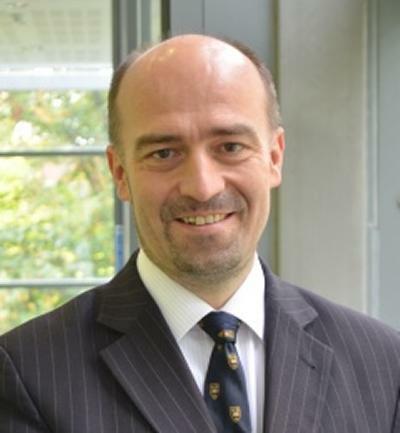 Professor Richard Werner is Chair in International Banking at the University of Southampton, Director of its Centre for Banking, Finance and Sustainable Development, and Chairman of Local First Community Interest Company. You can follow Professor Werner on Twitter @professorwerner.